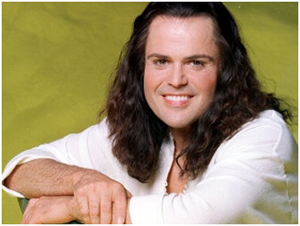 The March 26 and April 4 sing-along movie screenings of Andrew Lloyd Webber and Tim Rice’s Joseph and the Amazing Technicolor Dreamcoat, starring Donny Osmond, have been postponed. According to a representative of the show, Osmond has been placed on vocal rest by his doctors and is unable to perform for the planned live event. No new dates have been announced. The production on which the film is based originally opened at the London Palladium in 1991 and went on to tour globally. Filmed in 1999, it also features Maria Friedman as the Narrator, Joan Collins as Mrs. Potiphar, and Sir Richard Attenborough as Jacob. The pre-recorded version of the musical was originally shot at London’s Pinewood Studios. The event, sponsored by NCM Fathom and Omniverse Vision, was slated to have an introduction and question-and-answer session with Osmond live from Salt Lake City, plus an animated opening sequence which features an 80-piece orchestra.